To kick off Week 6 in the NWSL, the Orlando Pride beat the Chicago Red Stars 2-0 on Wednesday night at Toyota Park in front of a crowed of 2,027 in Bridgeview, Illinois. It’s Orlando’s first-ever win over Chicago. The Pride were 4-0-1 against the Red Stars coming into the game. With the win, the Pride improve to 2-2-2 on the season. The Red Stars are now 2-2-3. Chioma Ubogagu scored her team-leading third goal of the season in the 28th minute to put the Pride up 1-0 early. Ubogagu started the play with an interception at midfield, and the ball bounced to Sydney Leroux. The Pride forwards traded passes up the field, before Ubogagu took a shot from 20 yards out. Her shot appeared to take a deflection on its way past Red Stars goalkeeper Alyssa Naeher. The Pride made it 2-0 in the 81st minute. Rachel Hill scored her first goal of the season after subbing in at the 70th minute. Ali Krieger started the play with a steal at midfield and Emily van Egmond earned her first assist with the Pride on the play. Van Egmond made her Pride debut last weekend after missing the first four games of the season while on international duty with Brazil. The game was a meeting between last year’s top two scorers in Sam Kerr of the Red Stars and Marta of the Pride, but neither took a shot on goal in the game. Kerr had a few dangerous chances in the game and took four total shots, but did not hit one on frame. One of Chicago’s best chances came in the 66th minute when Sarah Gorden‘s cross was tipped away by Harris. Michele Vasconcelos also had a chance to tie the game in the 76th minute after a pass from Kerr, but hit her shot wide. Kerr did get one final chance to score her first Red Stars goal in the 92nd minute, and did indeed hit the back of the net with her shot, but was offside on the play so the goal did not count. On Wednesday afternoon, the Red Stars ruled Julie Ertz out with a back injury, so she missed the game after making her 2018 season debut on Saturday. Pride forward Alex Morgan also missed the game after being listed as questionable with a hyperextended left knee. Pride goalkeeper Ashlyn Harris was also listed as questionable with a hyperextended left elbow, but played all 90 minutes and made one save to earn her second shutout of the season. The match was pretty evenly split, according to Opta. The Red Stars held a slight edge in possession 50.9% to 49.1%. Passing accuracy was evenly split with the Red Stars at 71.6% and the Pride at 71.7%. The Pride outshot the Red Stars 8-7, but held a clear edge in shots on goal 6-1. The Red Stars will head to North Carolina to take on the first-place and unbeaten Courage on Sunday. The Pride get a rest this weekend and will next face Utah Royals FC on May 9. Match ends, Chicago Red Stars 0, Orlando Pride 2. Second Half ends, Chicago Red Stars 0, Orlando Pride 2. Offside, Chicago Red Stars. Lauren Kaskie tries a through ball, but Samantha Kerr is caught offside. Attempt blocked. Samantha Kerr (Chicago Red Stars) right footed shot from the right side of the box is blocked. Assisted by Yuki Nagasato with a headed pass. Offside, Orlando Pride. Kristen Edmonds tries a through ball, but Emily van Egmond is caught offside. Corner, Orlando Pride. Conceded by Danielle Colaprico. Taylor Comeau (Chicago Red Stars) is shown the yellow card for a bad foul. Kristen Edmonds (Orlando Pride) wins a free kick on the left wing. Attempt saved. Rachel Hill (Orlando Pride) right footed shot from the centre of the box is saved in the bottom right corner. Assisted by Poliana with a through ball. Taylor Comeau (Chicago Red Stars) wins a free kick on the right wing. Foul by Kristen Edmonds (Orlando Pride). Substitution, Orlando Pride. Poliana replaces Chioma Ubogagu. Substitution, Chicago Red Stars. Yuki Nagasato replaces Nikki Stanton. Goal! Chicago Red Stars 0, Orlando Pride 2. Rachel Hill (Orlando Pride) left footed shot from the left side of the box to the bottom right corner. Assisted by Emily van Egmond with a through ball. Attempt saved. Rachel Hill (Orlando Pride) right footed shot from the left side of the box is saved in the bottom left corner. Assisted by Chioma Ubogagu. Substitution, Orlando Pride. Kristen Edmonds replaces Marta. Attempt missed. Michele Vasconcelos (Chicago Red Stars) right footed shot from the centre of the box misses to the right. Assisted by Samantha Kerr. Attempt missed. Danielle Colaprico (Chicago Red Stars) left footed shot from the right side of the box misses to the left. Assisted by Nikki Stanton following a corner. Corner, Chicago Red Stars. Conceded by Carson Pickett. Substitution, Orlando Pride. 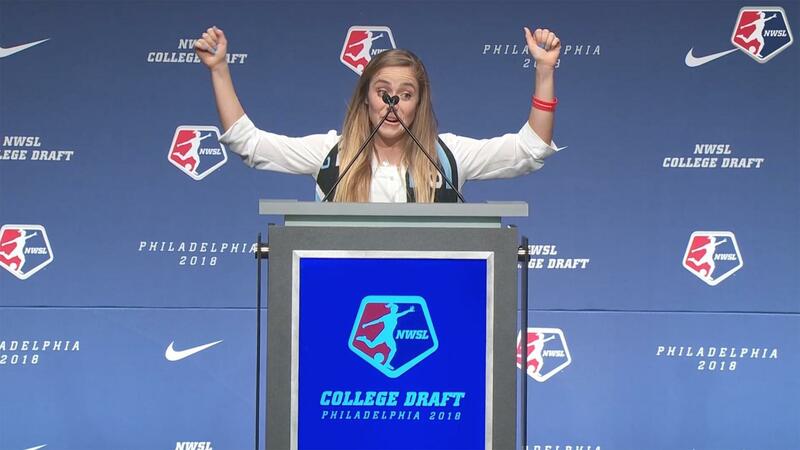 Rachel Hill replaces Sydney Leroux. Substitution, Chicago Red Stars. Michele Vasconcelos replaces Arin Gilliland. Attempt saved. Arin Gilliland (Chicago Red Stars) right footed shot from outside the box is saved in the centre of the goal. Assisted by Sarah Gorden. Offside, Chicago Red Stars. Taylor Comeau tries a through ball, but Katie Naughton is caught offside. Offside, Orlando Pride. 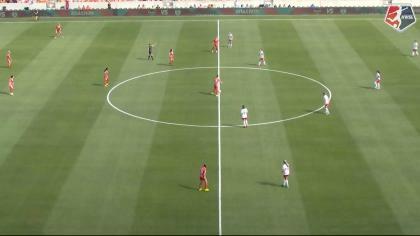 Ali Krieger tries a through ball, but Sydney Leroux is caught offside. Attempt saved. Sydney Leroux (Orlando Pride) right footed shot from the left side of the box is saved in the bottom left corner. Assisted by Alanna Kennedy. Attempt missed. Samantha Kerr (Chicago Red Stars) header from the centre of the box is close, but misses to the right. Assisted by Danielle Colaprico with a cross following a corner. Offside, Chicago Red Stars. Sofia Huerta tries a through ball, but Samantha Kerr is caught offside. Offside, Orlando Pride. Emily van Egmond tries a through ball, but Chioma Ubogagu is caught offside. Second Half begins Chicago Red Stars 0, Orlando Pride 1. First Half ends, Chicago Red Stars 0, Orlando Pride 1. Offside, Orlando Pride. Dani Weatherholt tries a through ball, but Sydney Leroux is caught offside. Attempt missed. Alanna Kennedy (Orlando Pride) right footed shot from outside the box is too high from a direct free kick. Attempt missed. Samantha Kerr (Chicago Red Stars) right footed shot from outside the box is too high. Assisted by Sarah Gorden. Attempt saved. Sydney Leroux (Orlando Pride) right footed shot from the right side of the box is saved in the bottom right corner. Assisted by Ali Krieger. Offside, Orlando Pride. Emily van Egmond tries a through ball, but Sydney Leroux is caught offside. Goal! Chicago Red Stars 0, Orlando Pride 1. Chioma Ubogagu (Orlando Pride) left footed shot from outside the box to the bottom right corner. Assisted by Sydney Leroux. Nikki Stanton (Chicago Red Stars) wins a free kick on the right wing. Attempt missed. Samantha Kerr (Chicago Red Stars) left footed shot from outside the box is high and wide to the left. Assisted by Arin Gilliland with a headed pass. Marta (Orlando Pride) wins a free kick on the right wing. Attempt missed. Carson Pickett (Orlando Pride) left footed shot from outside the box is too high following a corner. Shelina Zadorsky (Orlando Pride) wins a free kick in the attacking half. Sarah Gorden (Chicago Red Stars) wins a free kick in the defensive half. Corner, Chicago Red Stars. Conceded by Alanna Kennedy.